From at least the time of St Hippolytus (the only antipope to be recognized as a saint; r.217-235) through the abdication of the last antipope, Felix V, in April of 1449, the Holy See found itself periodically afflicted by schisms, in which rival claimants (sometimes more than one) contested the throne of St Peter. Certain periods - the eleventh and twelfth centuries, for example, which produced no fewer than fifteen antipopes, or the later fourteenth and early fifteenth centuries, when first two and later three competing papal obediences divided the western Church for two generations during the Great Western Schism - proved especially fertile ground for papal schism, but of all the medieval centuries, only the thirteenth could claim to be wholly free of it. The schisms can trace their origins to various sources - popular acclamations; factional feuds in Rome; the interference of royal or imperial authorities; divided conclaves; unsuccessful conciliar interventions - and some inevitably proved more divisive than others, but regardless of the mechanisms that brought them into being or the substance of the challenges they posed, the schisms all brought at least some degree of division and disorder to the Church and raised crucial questions about the fundamental character of papal authority. 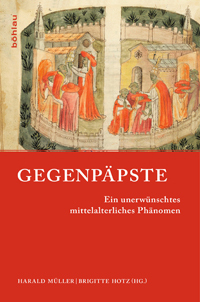 Originating with a colloquium held at the Historisches Kolleg in Munich in March 2015, this useful and informative collection of essays examines key aspects of the phenomenon of papal schism in the Middle Ages. The collection is well organized; thematically or chronologically related entries are typically paired with one another. 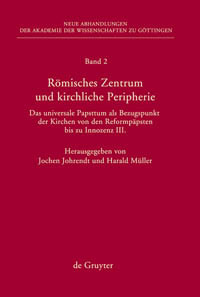 The first two essays are foundational to the collection: Harald Müller (1-18) introduces the main themes and problems associated with the medieval antipopes and the phenomena of papal authority and papal schism, and Stefan Rebenich (19-36) establishes crucial connections between the late antique Christian imperial monarchy and court and the essentially monarchical construction of medieval papal authority. Stefan Eßer (37-54) explores how the complex processes behind the formation of the Council of Pisa in 1409 helped to engender new ways of conceiving of schism and schismatics; following up on a key question raised by the Council of Pisa, Stefan Schima (55-74) looks at the canonical and historical precedents that led schism - or perhaps more precisely, persistence in schism - to be equated with heresy at the Council of Constance in 1415. 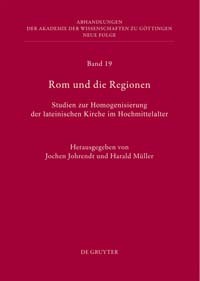 Bernward Schmidt (75-90) examines how three major twelfth-century monastic figures (Geoffrey of Vendôme, Peter the Venerable, and Bernard of Clairvaux) conceived of the link between ecclesiastical authority and moral behavior, while Jochen Johrendt (91-108) treats the presentation and characterization of "good popes" in the Liber Pontificalis from the mid-eleventh century to the early thirteenth century. Benjamin Oskar Schönfeld (109-125) explores the links between the schisms of the eleventh and twelfth centuries and the development of papal charters and other documents during the same period; Andreas Matena (127-145) looks at how antipopes were branded as "idols", and their followers as "idolaters", during the eleventh- and twelfth-century schisms (and again during the contest between John XXII and Nicholas V in the 1320s). 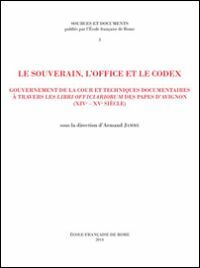 Britta Müller-Schauenburg (147-162) examines the compositional strategy behind BnF lat. 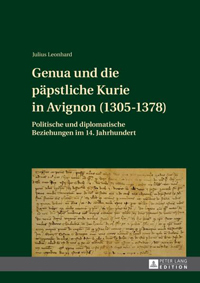 1478, a compilation of seemingly disparate texts which in fact provides a sort of textual justification for the Avignonese antipope Benedict XIII, and Robert Gramsch-Stehfest (163-185) reveals how the multiplication of competing papal obediences led to a corresponding multiplication of claimants to ecclesiastical offices and examines the mechanics and practical implications of competition for those offices. The final two essays (not including Müller's brief concluding summary) deal with the historiography of schism: for Jörg Bölling (187-213), in the fifteenth century, and for Martina Hartmann (215-226), in the Protestant tradition. The essays in the collection are of a uniformly high quality: well-written, richly documented, and insightful, they raise and address a wide range of important questions relating to papal schisms. The contents skew entirely to the two best known periods of schism in the West, i.e. the eleventh and twelfth centuries, on the one hand, and the Great Western Schism, on the other, though neglect of less familiar periods of schism could be considered an inevitable consequence of the historiography rather than a serious conceptual flaw of the book. 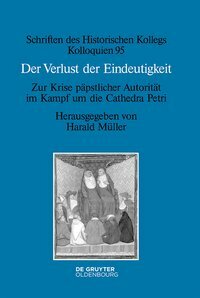 In its parts, Der Verlust der Eindeutigkeit offers a series of excellent articles on various aspects of medieval pontifical schisms; in its whole, it provides an exploration of the phenomenology of papal schism. 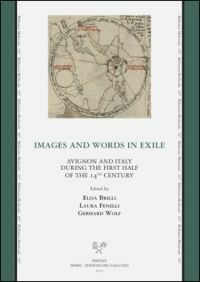 This is a valuable addition to the historiography of the subject, with much to reward students of the medieval Church in general and of the medieval papacy in particular.